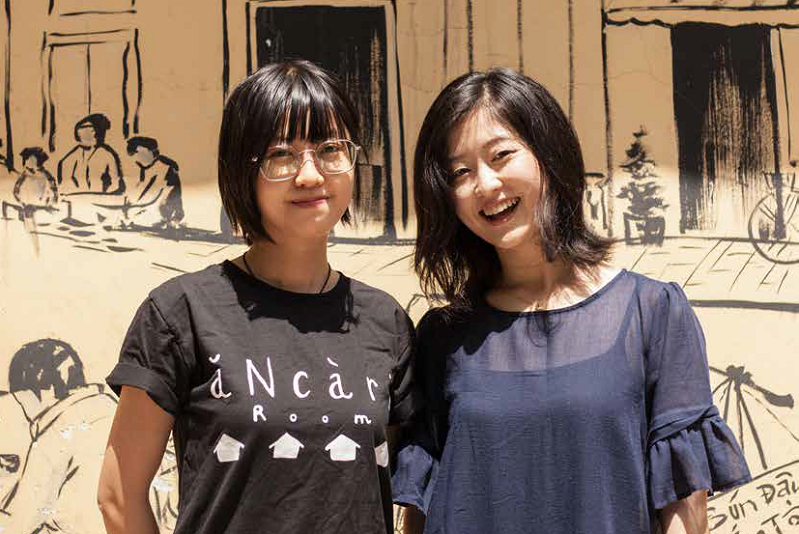 Started little over a year and a half ago by Japanese expat Akari Nakatani, the Ancari Room vlog on YouTube, which focuses on life experiences in Vietnam as well as cultural differences between Vietnam and Japan, has grown exponentially in viewership. With over 32,000 subscribers and numerous videos that have topped 100,000 views, Oi sat down with Akari to speak about her experience as a popular vlogger in Vietnam. Why did you choose Vietnam to live and as a language to study? Because of my best friend, whom I met in university [in Japan], we started living together and I was wondering what should I do after graduation. Then, because I had a connection with Vietnamese people through her, so why don’t I come here to study Vietnamese. Otherwise if I stop there then I thought maybe there would be no chance to come to Vietnam and study Vietnamese again. Now that you’ve been here a few years, what are your impressions? At first I was very surprised by all the motorbikes here and all the energy, because compared to Japan, Japanese people are sometimes a bit too tired, working very hard, but here it’s more relaxed and thanks to the weather also maybe, also people are more openminded. So when I live here, I have these small experiences. Fore example, yesterday I went to buy a flower and then the lady who was selling on the street, the stall was very, very small, and I asked her how much is a flower, and she said, like, one dollar for 10 flowers, but I only needed one. So I said, I only need one, so I asked her how much is it? And she was like, oh, then just take it. She chose the best one and was like, this is for you. And that really made me happy. What are some of the differences in behaviors between the Vietnamese and Japanese that you’ve observed? One point that maybe the Vietnamese can learn from the Japanese I would say, actually in both ways, the mind toward rules is very different. For Vietnamese people, they are a bit more flexible toward rules, that’s why on the roads sometimes it’s messed up and a bit scary, but at the same time I come here from Japan and I was surprised that after I live here, there is a rule, but still, if it’s in Japan I never think, how can I break the rule. I used to think only in the box, but in Vietnam, while breaking rules is not good, it also sometimes helps me to think in very different ways. That’s been helpful for me, and I also think Japanese people should learn about this. What made you decide to start Ancari Room and the YouTube channel? Most people in Japanese society, after they graduate they go find a job, and even if they don’t like it, because of all the pressure from society, they just go to work. But then for me I chose to come to Vietnam so it’s kind of like an unusual experience for Japanese people, so that’s why if I can share some of it, then hopefully it can help other people to see that there is another way. Had you done any public speaking or made any videos before? Actually, I joined a speech contest when I was in high school, but just that. Other than that I’m always kind of shy, I don’t want to talk to other people, I always hide. In front of the camera, I’m not used to it and that’s why I asked Duyen to be in the video together. Is it just the two of you who work together on the videos? Right now, only us two. For editing and planning, it’s all me. And for Vietnamese, like the subtitles, she helps me. How long does it take to make each video? To publish one video, I haven’t studied it yet, but for one video the shortest time is about 10 hours. How many views do your videos get on average? The average is about 10,000, and besides YouTube I also do live streaming on 17 Life, an application from Taiwan. Do you write out scripts with themes or topics? How much do you plan before you start shooting? These days we’ve changed a little bit, but before I just have an idea and just sit in front of the camera and then do whatever we try. But now we plan first. We make the title first and content, and if it’s all in Vietnamese we write the script as well, so I won’t mess it up. The comments on your videos range from students complimenting your language skills, to kids or families who enjoy them, to guys asking if you have a boyfriend. What types of people do you think typically watch your videos? Overall… umm… ha ha… 70 percent of the viewers of my channel are male. Most of them are Vietnamese people, but some viewers are Japanese people who are living in Vietnam or who are interested in Vietnam. For the messages, I guess about 30 percent of them, sometimes they just say, maybe because I’m a Japanese girl, leave a comment related to compliments. Are they respectful or do you ever have to block them? I just leave it there, but it’s funny that when Vietnamese people comment using some kind of Japanese word that relates to their comment, that other Japanese people comment on that, saying that, oh I didn’t know that Vietnamese people are also interested in this. They know this word, so the topic is not really clean, but still they are learning from each other so I think that’s amazing. I also experience that in daily life too. Vietnamese people tend to ask those kinds of questions. First is like, where are you from. The second is, do you have a boyfriend. In Japan we would usually only ask this after meeting maybe 2 or 3 times. And every time I take a Grab, they always ask me. So it’s like, should I tell a lie? How long do you plan to stay in Vietnam? Probably three years more. Actually, at the beginning I also said maybe 3 years, because I used to be in New Zealand for 10 months, but it was too short to know it deeply, so I felt maybe at least I have to live here for 3 years, otherwise I cannot know the deep side of the culture, so I decided three years. Now after 2 years, I’m still saying 3 years more. How do you market your videos? I’m actually not really good at marketing, I’m still studying, for now I’m just making the videos, we are more concentrating on the content. But thanks to another YouTuber, called Kyle Le, he’s quite famous, at first he interviewed me on his channel and that also brought his viewers to my channel. What else do you have planned for Ancari Room? The main purpose of Ancari Room is to be a bridge between Vietnam and Japan, so that is the main thing that I want to do. For now I sometimes teach Vietnamese to Japanese people, but I also want to introduce more about Japan to the Vietnamese people, and hopefully that’s a bridge to those Vietnamese people that are interested in Japan.